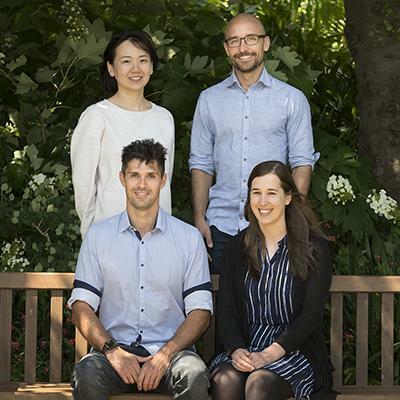 The research, led by Dr Rich Berry from the Monash Biomedicine Discovery Institute (BDI) and ARC Centre of Excellence in Advanced Molecular Imaging, was published today in the journal Structure. “The immune system is complex and highly regulated, comprising a number of accelerators and brakes,” explained Dr Berry. “One method of immunotherapy, termed ‘checkpoint inhibition’ involves blocking the immune brakes in order to unleash the formidable power of the immune system on the tumour,” Dr Berry said. Using high intensity X-rays at the state-of-the-art Australian Synchrotron, the team from Monash determined the 3D structure of a new immune brake, termed CD96. The structure reveals the precise molecular details of how CD96 binds to tumours. “This is really exciting because studies using mouse models indicate that blocking CD96 might be even more effective at controlling tumour spread than the currently available treatments,” Dr Berry said. Read the full paper in Structure, titled Structural basis for CD96 immune receptor recognition of nectin-like protein-5 (CD155).